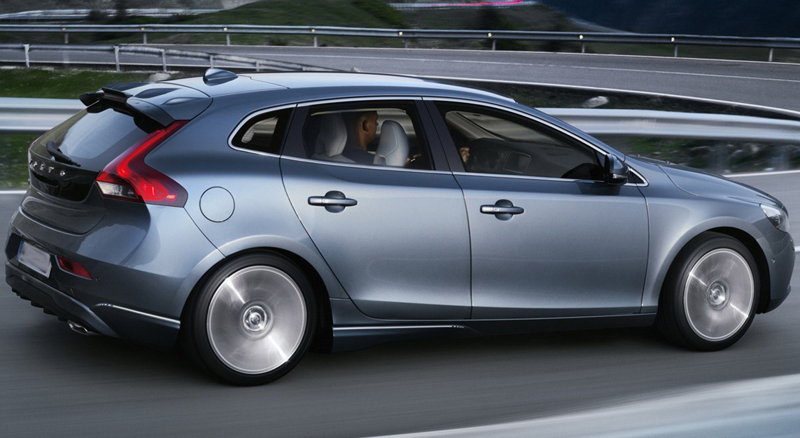 We have already brought to you several of leaked images of the 2012 Volvo V40. By now, everyone is already familiar with every curve of hatch. 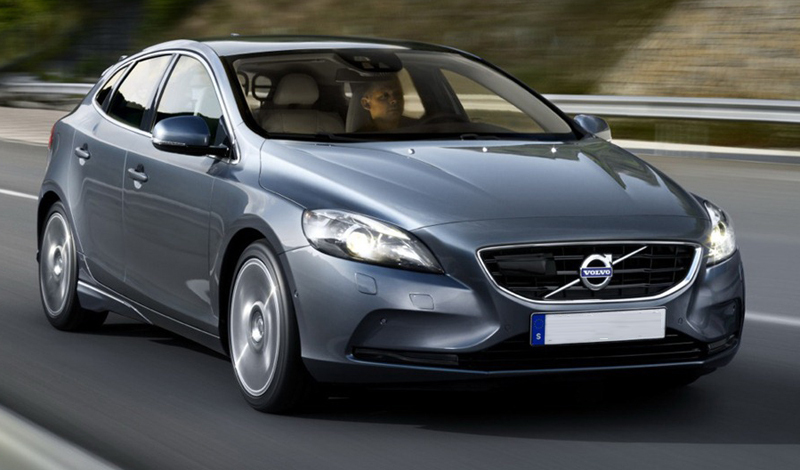 With just a few more days to Geneva, the Swedish carmaker has officially revealed its new 2012 Volvo V40. The Swedish rival of BMW 1-Series, Mercedes A-Class and Volkswagen Golf claims that the V40 will account about 90,000 annual sales, with Europe taking 85% of production. With Volvo’s D3 variant car’s launched about a week ago in India, there is a very good chance of the V40 making it to the shore. Roughly the size of Honda Jazz, the V40 is a four-door hatchback measuring 172inches in length, 80.3inches in width and 56.9inches in height. The biggest surprise is under the hood, with T5 kept in range. The petrol lineup starts with 1.6-litre turbocharged engine, with 150PS taking the hatch from 0-100kmph in 8.8 seconds. Its top speed is 210kmph. 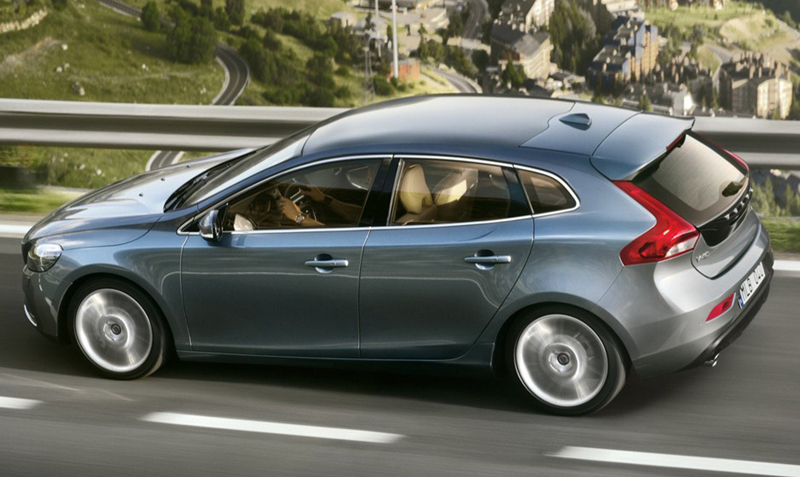 With the same size engine, V40 retuned to T4 develops 180PS, capable of pushing the car from 0-100kmph in 7.7 seconds and to a top speed of 225kmph. Hot hatch T5 variant is Volvo’s trademark, and develops 245PS. With a top speed of 250kmph, the hatch can sprint to 100kmph in under 6.5 seconds. 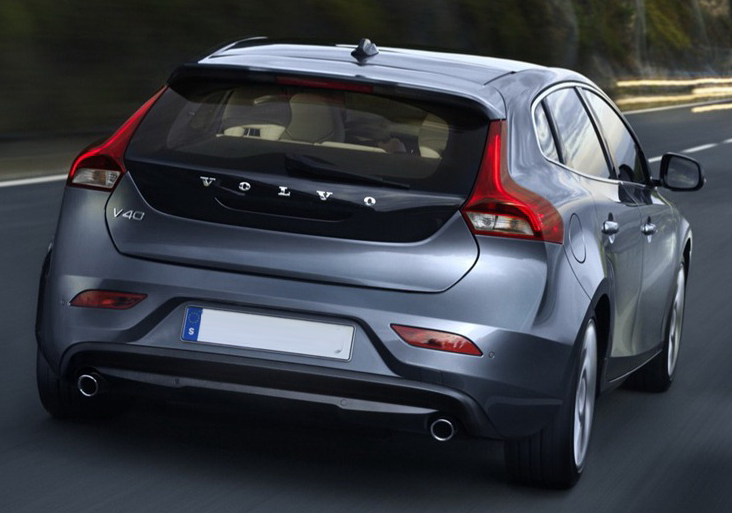 Volvo will be offering V40 in extensive choice from petrol and diesel. The diesel variant with D2 1.6-litre turbodiesel develops 115PS and with just 94g/km of emission, it is a very clean turbo diesel variant. V40’s D3 produces 150PS while the D4 produces 177PS. This is the first time that we have received images of the interior of the Volvo V40. If we believe the picture, the hatch will have a premium class interior that builds on impressive quality in the line of XC60 SUV, S60 sedan and V60 wagon. Also featuring the hatch are stitched leather seats and door trim. Extensive use of leather is made with finishing touch given on steering wheel and handbrake lever. The instrument panel includes a color display with digital speedometer and tachometer, while a multi-function screen in the centre of the dash is likely to feature interchangeable information such as audio and safety systems. Swedish carmaker is renowned for the safety it offers in its cars. Featuring the V40’s safety is Volvo’s Pedestrian Detection with Full Auto Brake system, Active Cruise Control and Lane Departure warning. We are not certain, which of these features are standard for the hatch range. However, the pricing of the hatch will be kept competitive against the German brands.